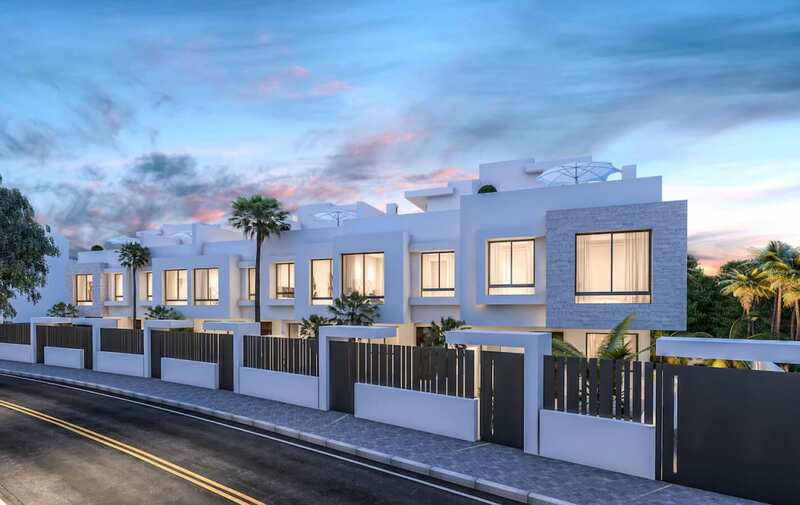 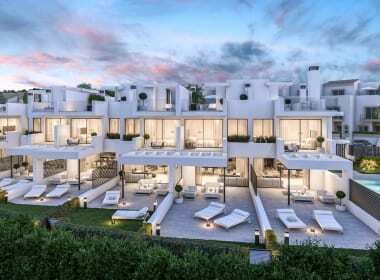 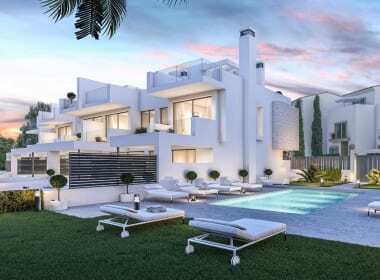 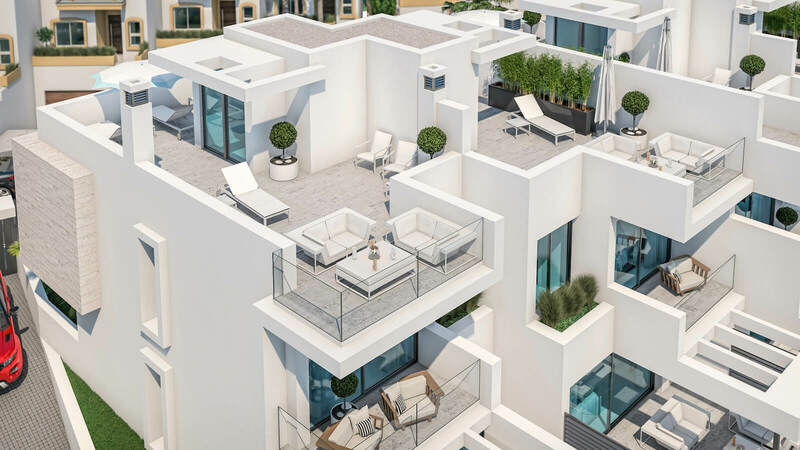 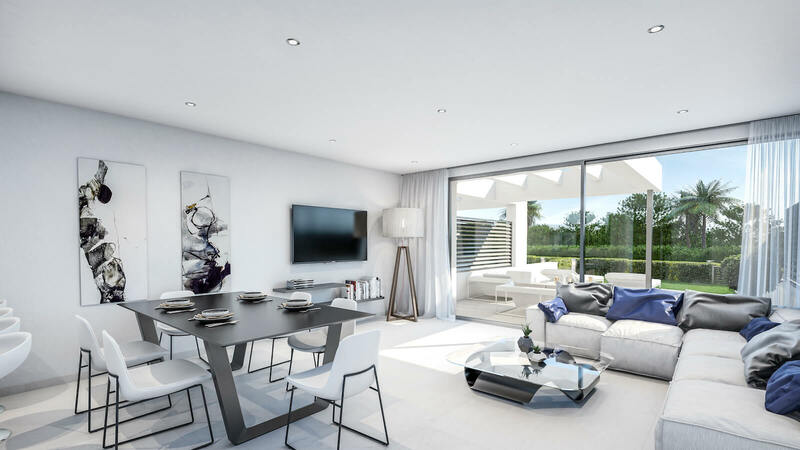 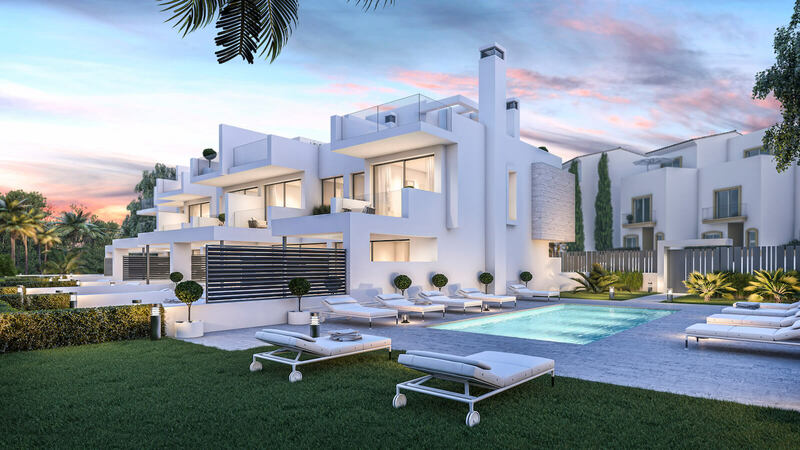 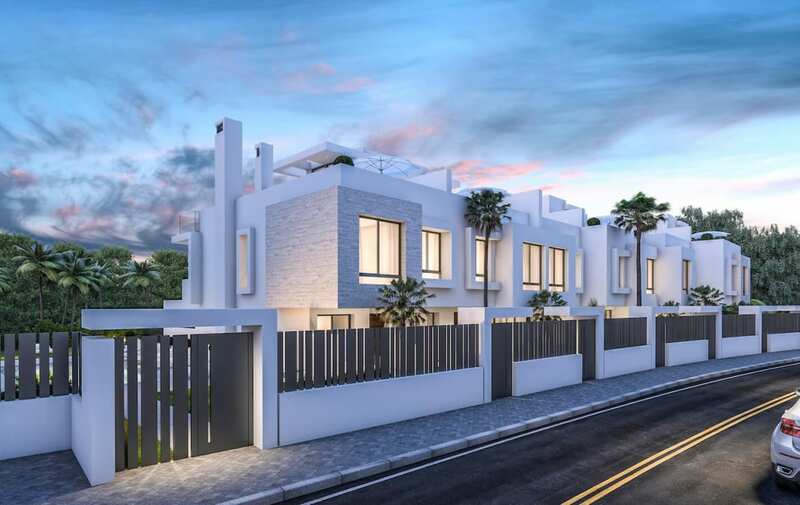 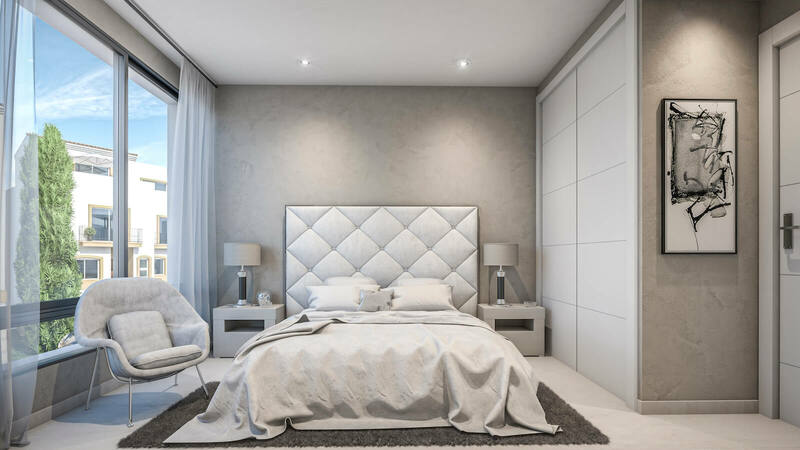 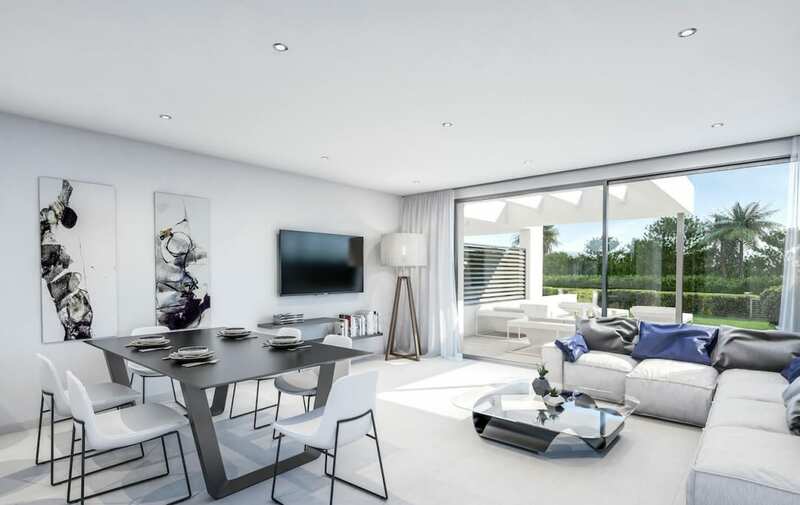 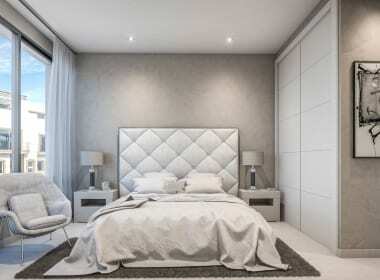 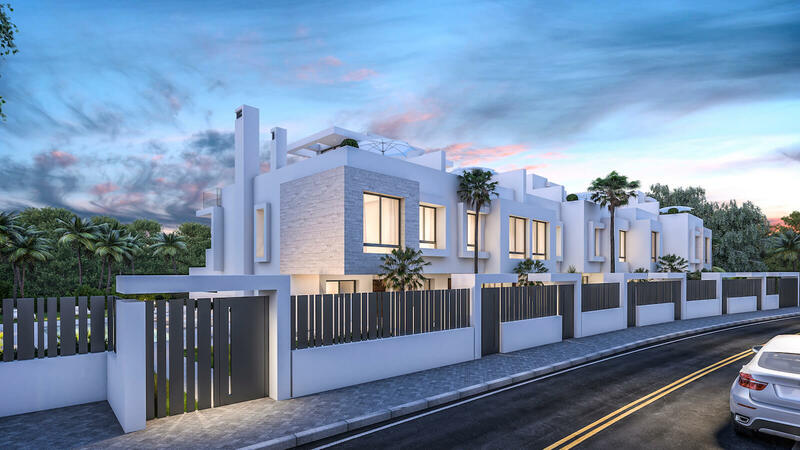 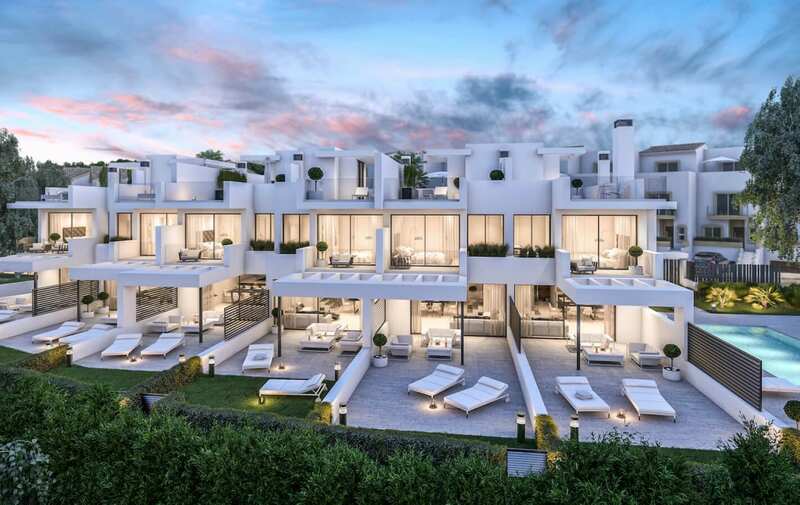 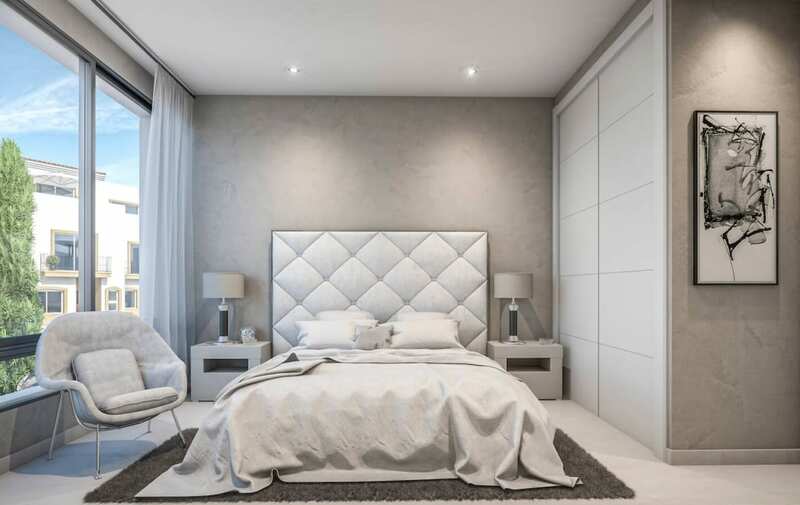 A unique boutique development comprised of only 6 houses, located just 50m from one of the finest beaches in the Estepona region. 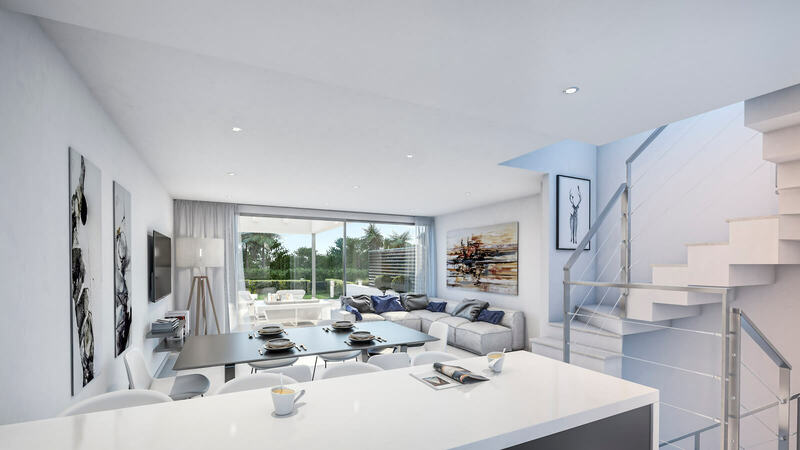 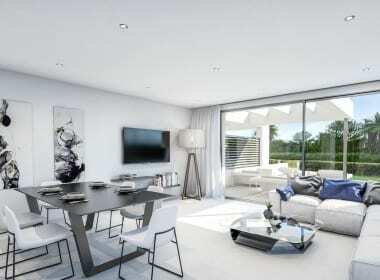 This exciting new beachside complex offers a very contemporary design and a luxury, high quality specification. 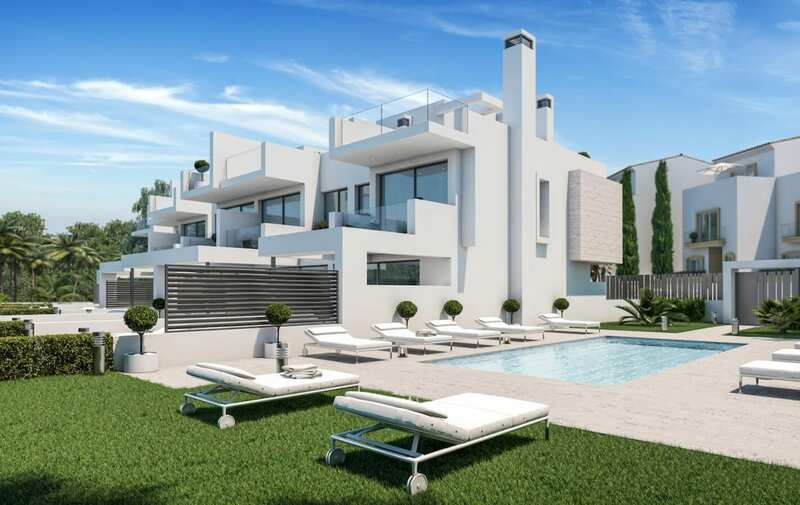 The plot is ideally situated only a very short drive to Estepona town centre and 20 minutes from Marbella. 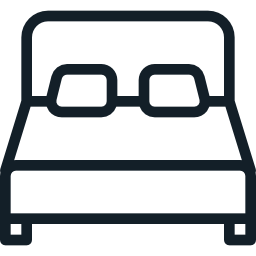 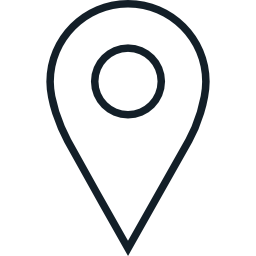 The International airports of Malaga and Gibraltar are also only a 50 and 25 minute journey away. 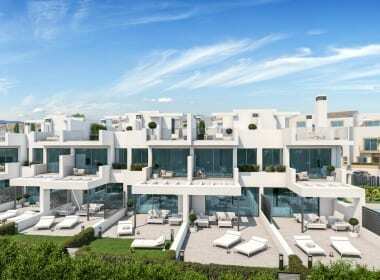 In addition, the newly extended promenade allows you to walk into Estepona Town and it’s picturesque Marina. 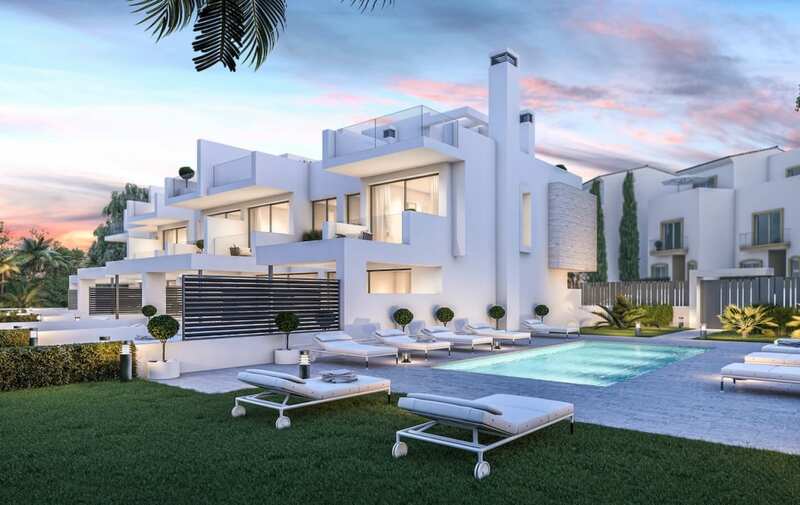 The 6 modern homes have total built areas of between 290 m2 to 317 m2. 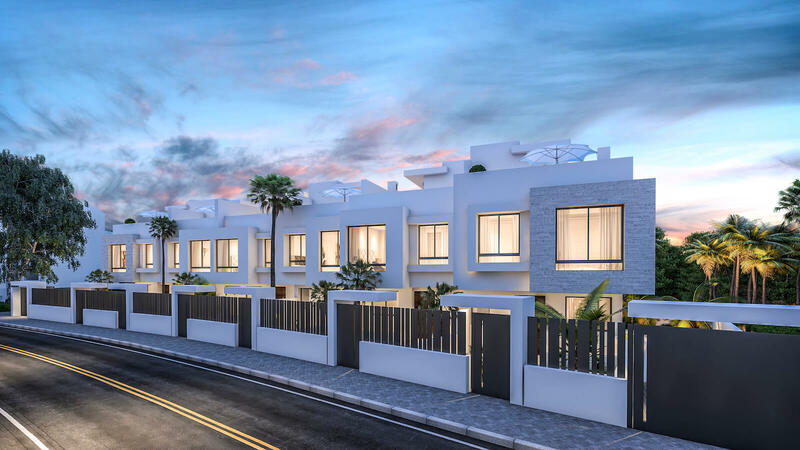 All the houses have 3 bedrooms, 2 stunning bathrooms, a guest toilet and an open plan fully equipped kitchen with a spacious living room. 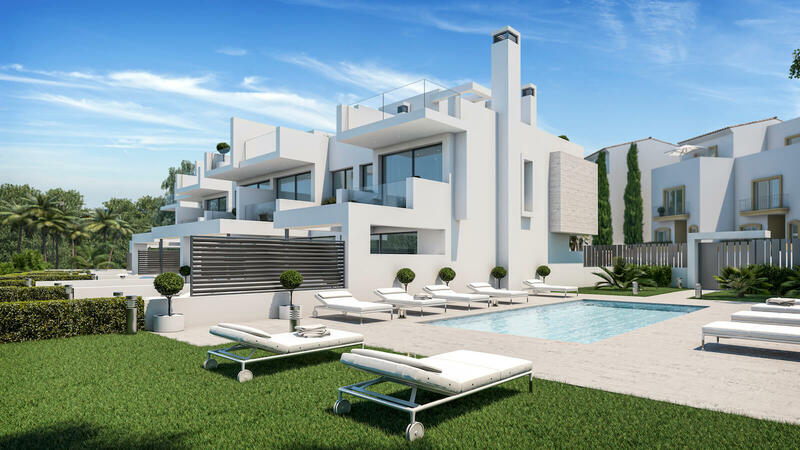 Each property also has its own private garden, a double underground garage, large storeroom and a solarium providing excellent views. 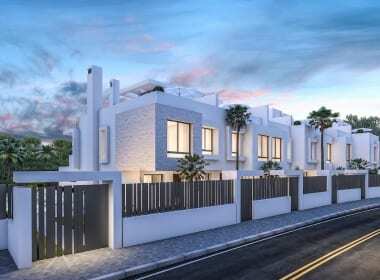 Unique boutique development composed of only 6 Houses. 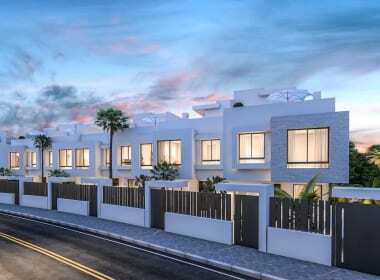 2 parking spaces, and storeroom per property. 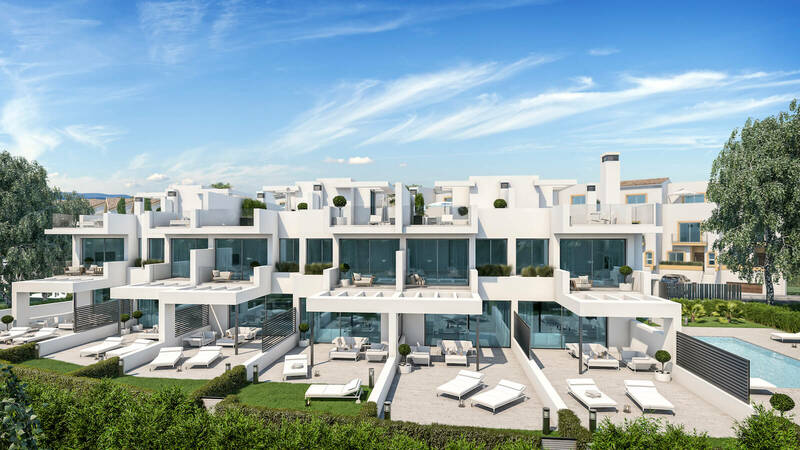 West Beach is conveniently located just 5 minutes drive to Estepona Town Centre, 20 minutes drive to Marbella, 45 minutes to Málaga International Airport and 25 minutes to Gibraltar. 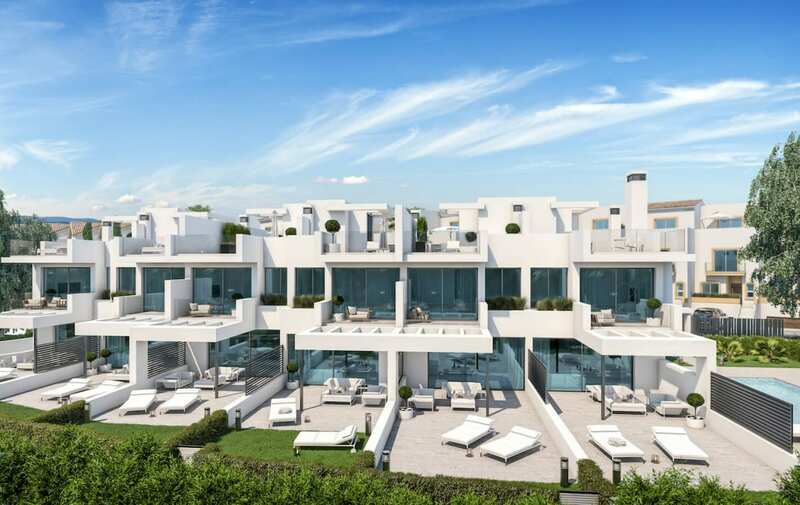 Local renowned golf courses include Estepona Golf, Atalaya Old, Guadalmina Sur, Valle Romano and the award wining Finca Cortesin Golf & Spa Resort. 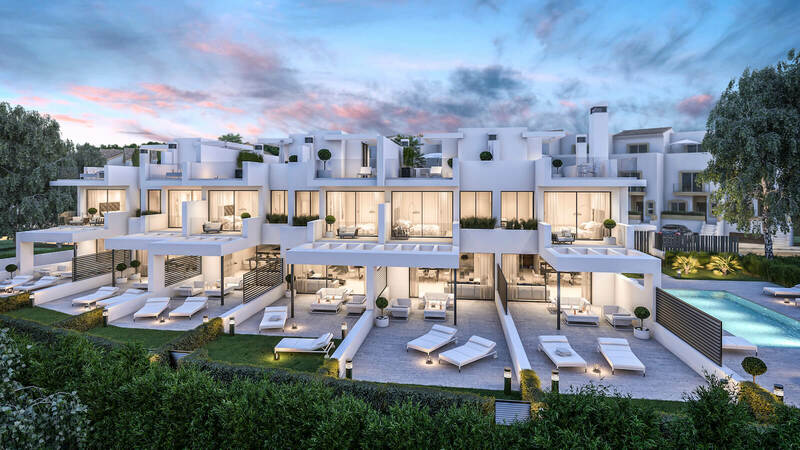 Estepona has many delicious restaurants, Las Brasas de Alberto has been voted “Best Steaks in Andalucia”, our favourite Tapas bar is “La Casa del Rey” and if you are looking for Sushi you have “Camuri” located in Laguna Village, next to the 5 star Kempinski Hotel.